Paul is a strategic design and branding specialist for the financial services industry. 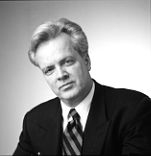 His three-decade design career continues a record of precedent-setting visual solutions for leading banks, securities, brokerage and asset management firms; including K2 Advisors, IVY Asset Management Corp., Welsh, Carson, Anderson & Stowe, Conduit Capital Partners, Silvercrest Asset Management, Sagent Advisors and Muirfield Capital Management. Previously, Paul was Donaldson, Lufkin & Jenrette's Creative Director for 22 years and Global Creative Director for Credit Suisse First Boston. He is valued for creating brand identities that clearly and compellingly reflect each client's unique culture and business objectives.